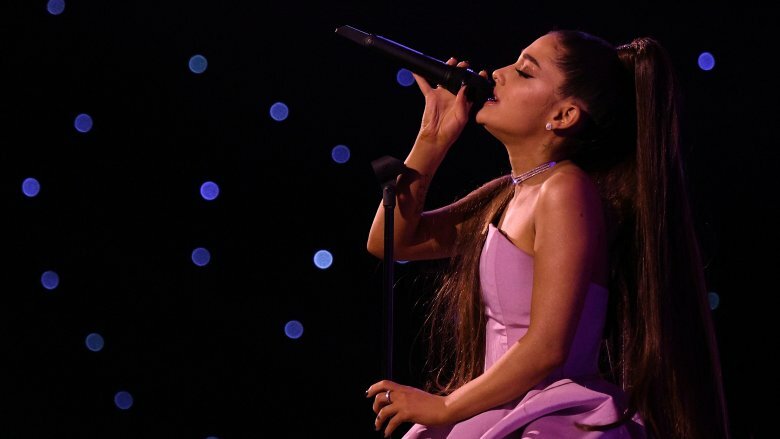 Hours before the 2019 Grammy Awards were set to air live on Sunday, Feb. 10, 2019, the Recording Academy announced via Twitter that Grande had already taken home the gold for Best Pop Vocal Album for 2018’s Sweetener. With this win, she notably beat out the likes of Camila Cabello’s Camila, Kelly Clarkson’s Meaning of Life, Shawn Mendes’ self-titled record, Pink’s Beautiful Trauma, and Taylor Swift’s Reputation. Grande’s hit song “God is a Woman” was also nominated for Best Pop Solo Performance. However, the award ultimately went to “Joanne (Where Do You Think You’re Goin’? )” by Lady Gaga.